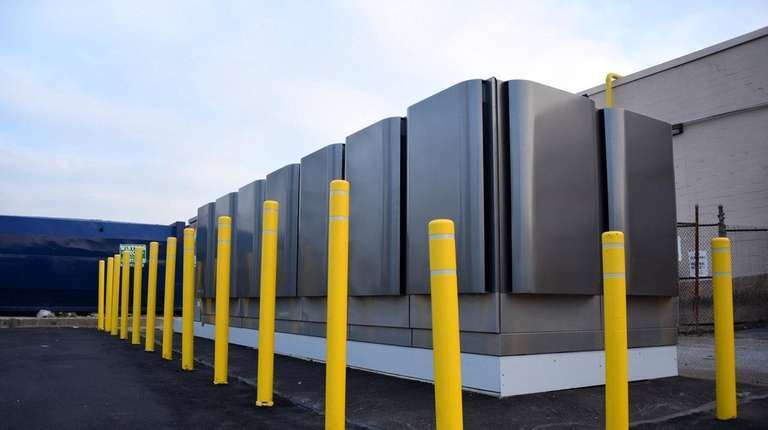 Fuel cells, a power-generation technology that LIPA once predicted could find wide-scale use before scrapping them because of too-short life cycles, are making a quiet comeback on Long Island. 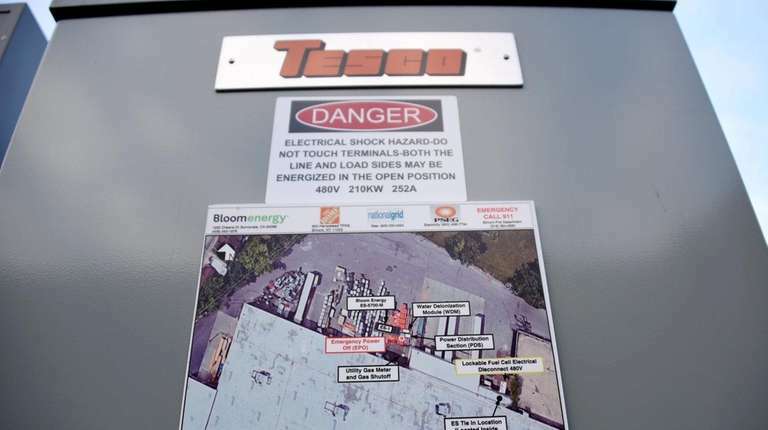 Bloom Energy, one of the country’s largest maker of modern fuel cells, has been installing the compact power generators in a handful of Home Depot stores across Long Island, and expects to have up to 10 stores equipped with them by next year. The cells, which produce electricity using an electrochemical process without combustion or significant emissions, provide cheaper power than energy from the Long Island Power Authority grid, Bloom and Home Depot say. LIPA has been encouraging fuel cells in requests for proposals in the past several years. It has already awarded 6 megawatts of fuel-cell contracts as part of a renewable energy bid request, and up to 40 megawatts more are slated for a bid request soon. 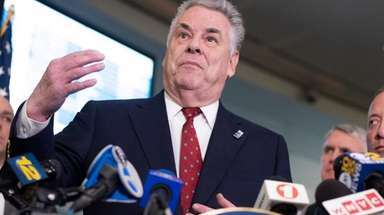 Acceptance of fuel cells on Long Island follows a period of wariness. 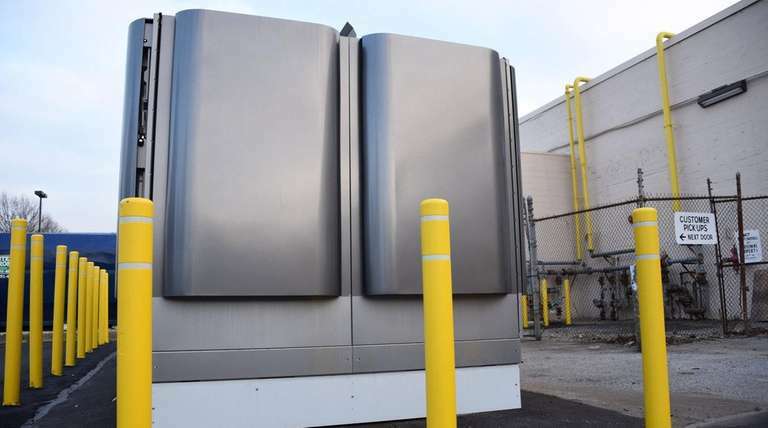 Fuel cells got a black eye at LIPA after it ended a multiyear deal with politically connected Plug Power of upstate Latham in the late 2000s. LIPA spent $21 million funding nearly 200 Plug Power installations around Long Island, including units at a LIPA substation in West Babylon. But the devices had technical problems and ultimately lasted only months before needing to be replaced. In the end, LIPA sent them all back to the manufacturer. Lessons learned from LIPA’s experiment with fuel cells ultimately pushed them to the back of LIPA’s energy portfolio. “Fuel-cell technology as a whole did not develop as rapidly as planned,” LIPA said in a subsequent report on the program. But in the years since, fuel cells have grown up, and are now in use at some of the largest and most advanced companies in the country and around the world. Bloom Energy, of Sunnyvale, Calif., is generating 165 megawatts of fuel-cell energy for companies including Apple Computer, Stop & Shop, Google, Walmart and Yahoo! Because they don’t combust the natural gas, propane or biofuel they use to produce electricity, fuel cells are considered a “green” energy source. They use specially coated wafers to separate hydrogen from fuels. The hydrogen molecules are split into protons and electrons; the protons merge with oxygen to create water; the electrons are harnessed and converted to usable electricity. Emissions from fuel cells are a fraction of that from gas-burning power plants. Fuel-cell suppliers say the cost of systems have come down dramatically since LIPA’s $21 million Plug Power experiment, to the point where the technology can be cheaper, and more efficient, than other green energy sources such as solar. A 1.4 megawatt fuel-cell installation can cost upward of $8 million, but with incentives, use of waste heat and other mitigating factors, the delivered cost of energy can range between 10 and 15 cents a kilowatt hour, experts say, lower than some other alternative energy sources. PSEG also gets renewable energy credits for fuel cells, which through this year are eligible for a federal 30 percent investment tax credit. The industry hopes the credit will be extended, as was done for solar and wind technology. “This is a technology that has arrived,” said George Hochbrueckner, a former U.S. congressman from Long Island and now a consultant to Fuel Cell Energy. Each 1.4-megawatt Fuel Cell Energy unit requires a space of 40 feet by 60 feet to house their components, considerably less than an equally rated solar farm, which requires acres of property for a daytime-only power source, Hochbrueckner said. Chip Bottone, chief executive of Fuel Cell Energy, said the technology is ideal for many of the power challenges facing LIPA and PSEG. On the South Fork, for instance, where the utility has identified a need for more than 100 megawatts of power in the next decade, fuel cells can be added “surgically” located to address specific load pockets, obviating the need for a big transmission cable project, a large solar field or a traditional combustion turbine plant made only for peak power, he said. 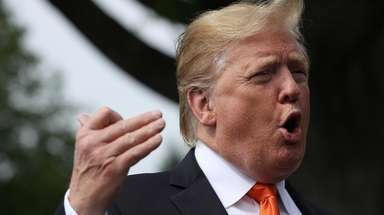 It’s also economical, he said, with power delivered at between 10 cents to 14 cents a kilowatt hour. Some LIPA solar projects are paying developers 17 cents to 22 cents. 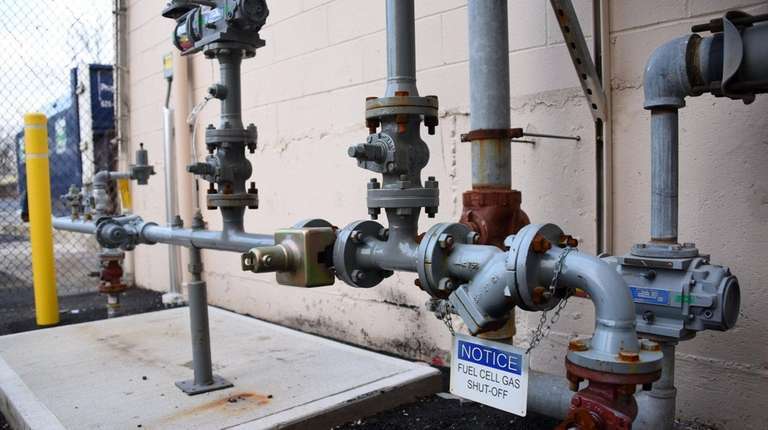 Charlie Fox, Bloom Energy’s director of East Coast regulatory affairs and business development, said he has been working on projects throughout the state and on Long Island, primarily with retailers such as Walmart and Home Depot. The company’s approach is simple: it builds, installs, maintains and even finances fuel cells for its commercial customers, delivering a cheaper energy source under 20-year contracts. The cells last three to five years, and can be switched out without any interruption in service. In addition to cheaper power, clients can meet sustainability goals. In a 2015 internal report, Home Depot said it had installed Bloom Energy fuel cells in 81 of its stores, cutting emissions by 30 percent and contributing (along with solar panels) to a 17 percent reduction in electricity consumption from the grid over the past three years. The company also uses more than 200 hydrogen fuel-cell-powered fork lifts that do not require recharging. The forklift fuel provided by Plug Power. Craig D’Arcy, Home Depot’s director of energy management, said the current four Long Island stores with fuel cells could increase to 10 by next year. By next year, the 1,977-store chain will have fuel cells powering some 160 stores, he said. The 200 kilowatt fuel cells supply 90 percent of the stores’ energy needs, with the exception of summer days of extreme heat, he said, and the always-on units send energy back to the grid when the stores have low power needs. 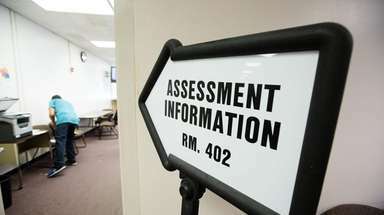 Despite the advances, LIPA’s past experiences with the technology will require some work to change attitudes. 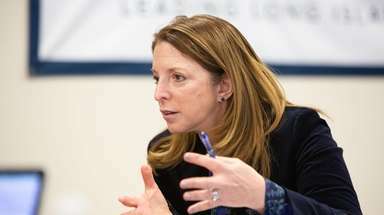 LIPA trustees will vote on any projects PSEG selects later this year.